Experience all the colors of Crayola! This full-color book is a perfect companion to Crayola's big box of 120 crayons. Each page is a match to one of the crayon colors. As a bonus, there are 120 stickers in all the shades too! 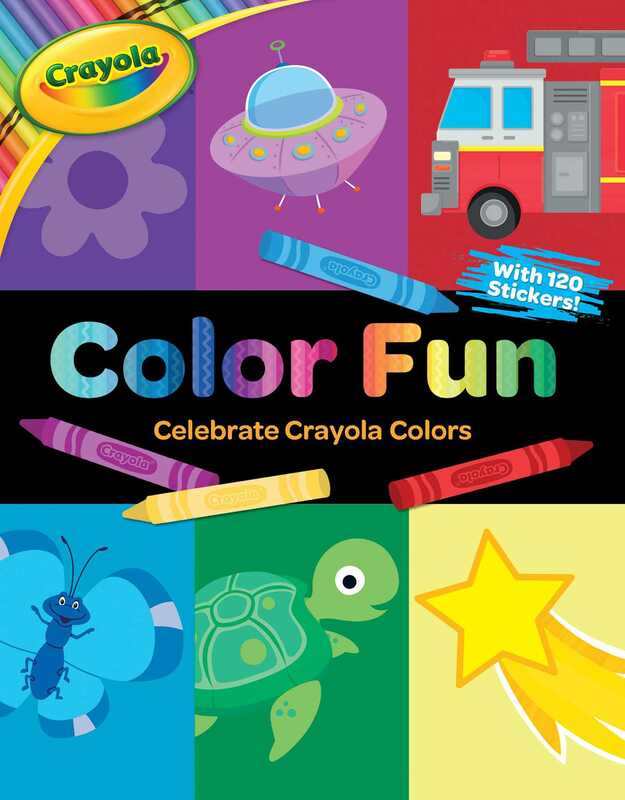 Crayola Color Fun is a special Crayola experience, designed to encourage pairing this book with the big box of 120 Crayola crayons. Kids will enjoy discovering the huge variety of colors and shades offered by Crayola. Each page corresponds to a specific crayon color from the 120-count crayon box. There are also 120 stickers, which reflect each crayon color as well! This coloring and activity book is an exciting and vibrant way to promote all the colors of Crayola.